Dr. Chris Hansen graduated from Athens High School in Athens, West Virginia in 1988. He performed undergraduate studies in the Honors Program at West Virginia University. He continued his professional training at the Indiana University School of Optometry, completing the doctoral program with honors. Dr. Hansen then served as an optometrist in the United States Air Force for four years, earning the Air Force Commendation Medal before leaving the service to return home to the Appalachians. 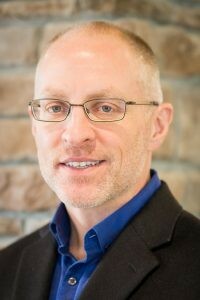 Dr. Hansen founded Appalachian Eye Care in 2001 and New River Eye Care in 2004. He is certified in Primary Care Optometry and in the treatment and Management of Ocular Disease by the National Board of Examiners in Optometry. He is also an active member of the West Virginia Association of Optometric Physicians and the American Optometric Association. Dr. Hansen is a die-hard Mountaineer and a Hoosier, but he married a Hokie. He plays several stringed instruments and is still trying to find one he is good at! Dr. Hansen is blessed to play music on occasion in church with his mother and children. In addition to music, he enjoys training and participating in triathlons – swimming, biking and running — and completed a 140.6 mile Ironman in 2015. Dr. Brad Lane is a Wyoming County native, growing up in Mullens, West Virginia and is a proud son of a West Virginia coal miner. He earned his undergraduate degree in psychology, sociology and pre-professional biology from the Honor’s Program at Concord University in Athens, West Virginia. 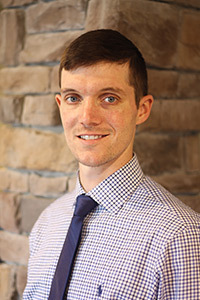 He graduated from the Pennsylvania College of Optometry with a Doctorate of Optometry in 2007 and joined Dr. Hansen as a practice owner of Appalachian Eye Care and New River Eye Care. In 2016, he completed work earning an MBA. Dr. Lane is a staunch advocate for his profession and serves on many boards that seeks to advance Optometry, eye health and patient care. He is a frequent contributor to AOA Focus magazine and serves on the American Optometric Association’s Education Committee. He is the President of the West Virginia Association of Optometric Physicians and currently serves as Trustee to the Southeastern Congress of Optometry based in Atlanta. 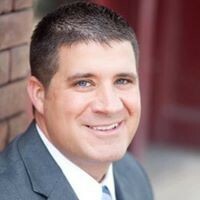 Dr. Lane is also a Diplomate of the American Board of Optometry and was honored as the West Virginia Young Optometric Physician of the Year in 2013 and as the Optometric Physician of the Year in 2017. Dr. Lane is also committed to his community and is the Secretary of the Concord University Foundation Board of Directors, founding member of Concord University’s White Coat Society and has created and funded two scholarships. He sits on the board for the Jonathan Powell Hope Foundation as well as serves the local Red Cross as a Disaster Relief coordinator. He enjoys traveling, sports and all things Philadelphia! Fly! Eagles! Fly! 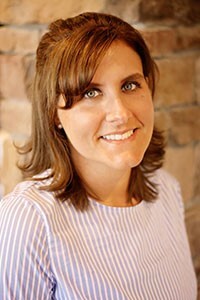 Dr. Misty Lane grew up in Herndon, WV and graduated from Wyoming East High School. She earned bachelor’s degrees in psychology and pre-professional biology from Concord University in Athens, WV. Later, she graduated with an associate’s degree in laboratory science from New River Community and Technical College and was employed as a medical technologist at Raleigh General Hospital and Plateau Medical Center in West Virginia and North Oak Regional Medical Center in Mississippi. In May 2018, she graduated from Southern College of Optometry with honors, earning her doctorate of optometry degree. Dr. Misty Lane feels blessed to have the opportunity to provide eye care in the area she is from. She loves to travel through the deep south and has an interest in Indian Health Services. Her hobbies include hiking, biking, paddleboarding, and watching live music. She plans to join the Air Guard and hopes to become more involved with Leader Dogs for the Blind, a nonprofit organization that trains guide dogs. 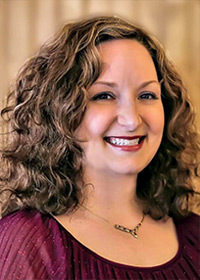 Dr. Misty is an active member of the American Optometric Association and serves on the Student Liaison Committee for the West Virginia Association of Optometric Physicians. Dr. Jacob Bowen is a native of South Arkansas. He graduated as valedictorian of Norphlet High School in 2008. He earned his Bachelor of Science in Geographical Information Systems from Louisiana Tech University, graduating with honors. After a short stint in the workforce, Dr. Bowen returned to school and earned his Doctor of Optometry degree at Southern College of Optometry in Memphis, Tennessee. While attending SCO, he received the Clinical Excellence in Contact Lens award. Dr. Bowen is an avid fan of the Atlanta Braves and Arkansas Razorbacks. In his free time, Jake enjoys deer and duck hunting, bass fishing and watching baseball. Other interests of his include history, geography and architecture. He is also a member of the West Virginia Optometric Association and the American Optometric Association. Dr. Cassandra Ortiz is a native of Midland Trail, WV. Dr. Ortiz graduated from The Ohio State College of Optometry in 2009. She holds a business degree from The Ohio State University Fisher’s College of Business as well as a Master’s in Vision Science from The Ohio State University. In 2011, Dr. Ortiz was named a fellow in the American Academy of Optometry, an academic designation that not many in the optometric profession receive. She is a member in the American Optometric Association, American Academy of Optometry, and the West Virginia Association of Optometric Physicians. © 2017 | All Rights Reserved. | Powered by PVG Development.